CT800F19 CT800 Critical Thinking: Tools for Taking Charge of Your Learning and Your Life $942.00	 Qty. CT800F19N CT800 Critical Thinking: Tools for Taking Charge of Your Learning and Your Life [4.5 Nursing CEU's] $1,042.00	 Qty. 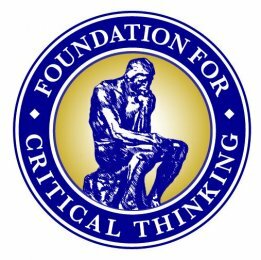 CT800F19P CT800 Critical Thinking: Tools for Taking Charge of Your Learning and Your Life [3.0 Philosophy Units] $1,137.00	 Qty.